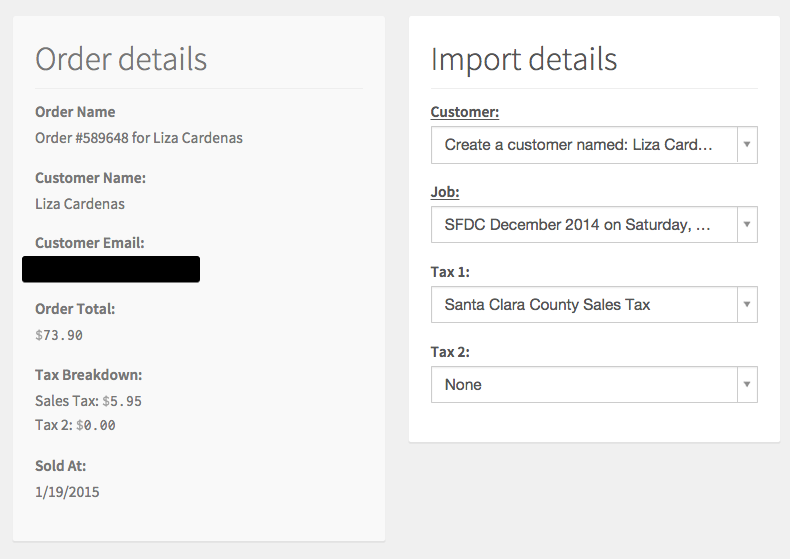 ShootProof integration allows you to import your orders directly into Táve where you can attach them to a specific job. Let’s set up the integration now. 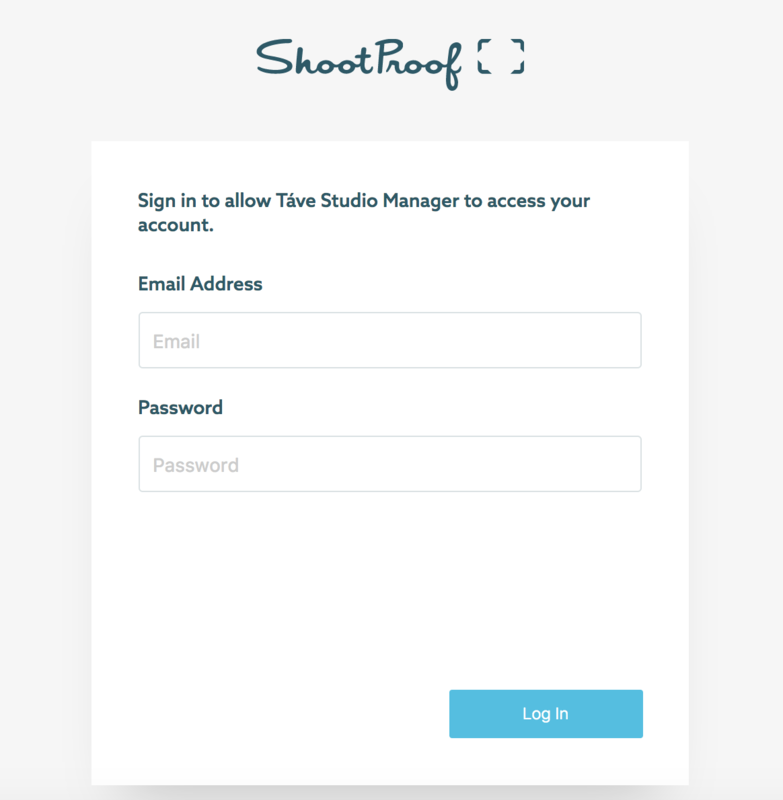 We’ll start by going to Settings › Data Management › Integration Endpoints and click the button “Integrate with ShootProof”. Next, we’ll click the button “Setup Integration”. 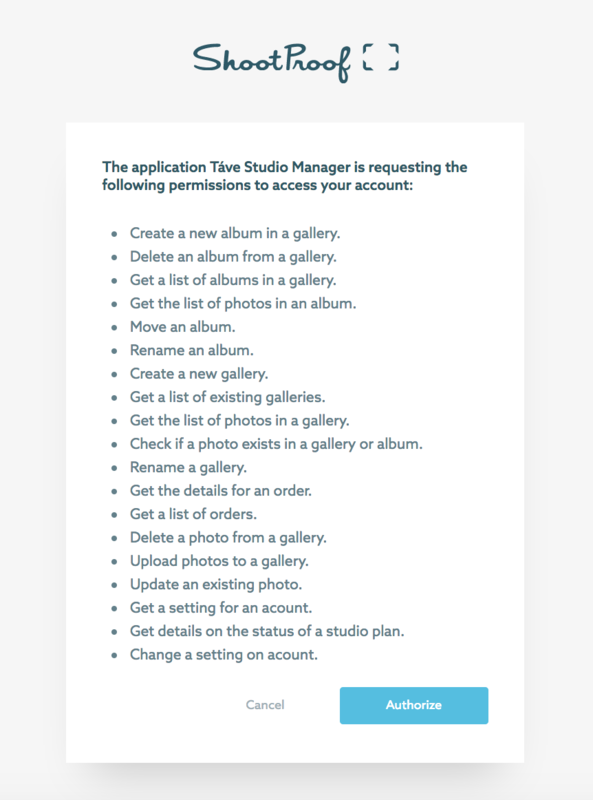 You will then log into ShootProof with your account email and password, immediately after which you will be prompted to grant Táve Studio Manager permission to access your account. Your integration is now complete. 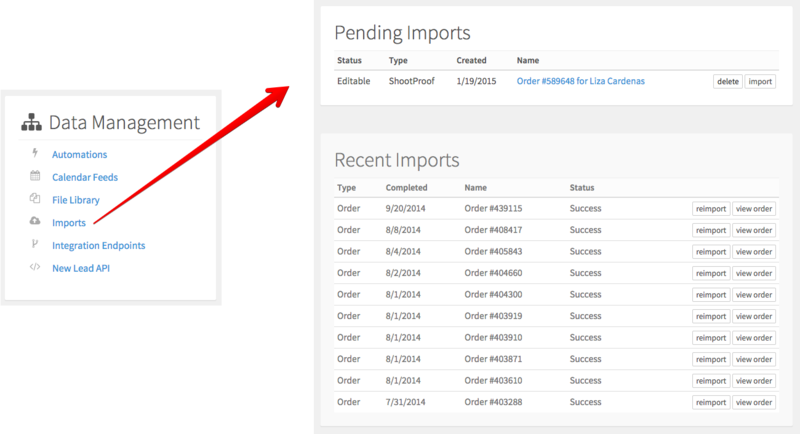 Any NEW orders that come in through your ShootProof account will appear in Settings › Data Management › Imports. You will also have a list of recently imported orders available as well once you’ve started importing a few. To import the order, simply click the “import” button to the right of the order. You will be presented with Order Details, as well as options to attach the order to an existing customer (or create a new one), attach it to a specific job, and assign the sales tax collected through ShootProof to one of your tax groups set up in Táve. If you accidentally delete an order within Táve or find that one of your orders is not importing, you can either reimport it from the list of recent imports or you can go to Settings › Data Management › Integration Endpoints and enter the order number to manually import the order. 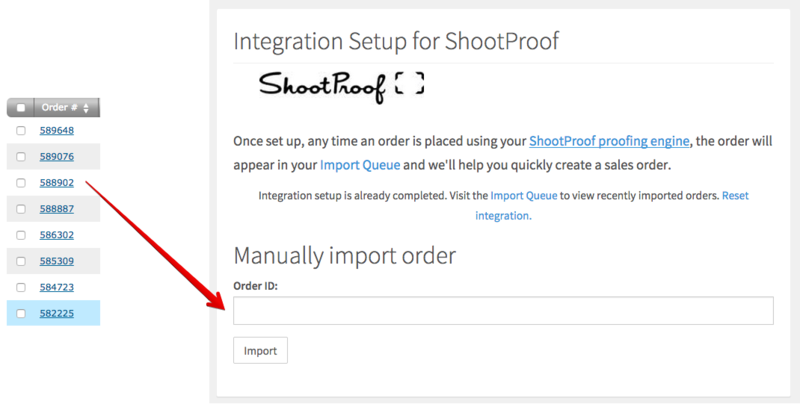 If you find that you have a lot of orders to import at once, one tip is to bookmark the Integration Endpoints page (https://tave.com/app/settings/integrations/edit/shootproof) so you can quickly click on the bookmark to get back to it as you run through your orders.